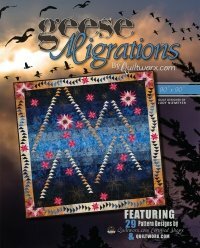 The Geese Migrations book contains 29 quilt designs and instructions to make each quilt. Foundations papers are available separately. The designs are all based around 6 different geese units, 2 stars and a cactus flower.